There are two schools - at least - to plot a line of position with enough details. 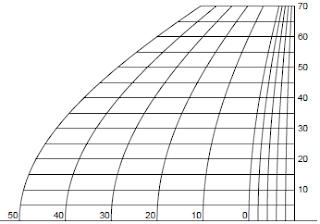 Mercator templates are one, plotting sheets are another one. 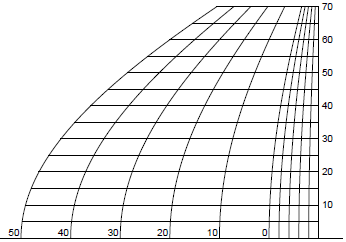 The plotting sheets rely on the Mercator scale, available at the bottom right corner of the document above. It gives graphically the ratio between one degree of latitude and one degree of longitude. The main difference I can see between the two methods is that the Mercator templates can be reused, just like a chart, and the plotting sheets are just a draft, to be dropped after used. That's just my opinion. Whoever has a better - or other - one is welcome to speak up.